In a similar manner, CEU helps you understand things from different perspectives. It helps you deal with serious but often misunderstood issues, like gender and the global south. Just being in the room with twenty people from all over the world changes your perspective in a way that will never let you look at things the same. CEU has created in time thousands of alumni who have helped shaped the minds of elites all over the world. People like Anna Brzezińska or Monica Macovei have already had their impact on history. Then again, Prime Minister Orban has been a donor receiver, but it's a whole different issue. In the 2000s, the situation in Hungary has changed. The decade we're living in for many Hungarians is linked to terms like "illiberal democracy," whatever it may mean. And CEU has become a hindrance. A stronghold of freedom cannot stand in the center of capital that is increasingly anti-things. The anti-European unity, the anti-refugees, and the anti-free press are just a few of the epithets that the Hungarian Government has gained. 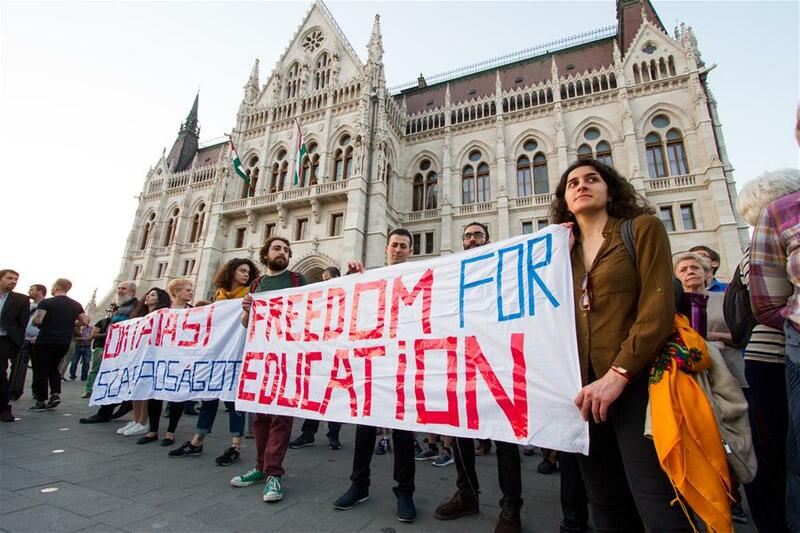 Today, the Hungarian Parliament has passed a law making it hard for CEU to stay in Budapest. It requires Trump and Orban to negotiate a "deal" for universities to set campus in each of their countries. It requires CEU to open a school in New York, where it's also registered because New York should be more Central European. Because of a technicality, CEU must change its name. It might be because of the messages of freedom and tolerance that the University sends. And those messages cannot be perceived as coming from Hungary. While list might go on, I will ask you a pseudo-rhetorical question about it. Why is the CEU a danger to Orban's regime? Maybe, it's because he cannot cage free minds. And an open mind is a virus. As a Moldovan old enough to remember the 7th of April, I am proud to be now part of CEU.